Custom Made Orthotics are specialized foot inserts that are designed to support and correct the arches of the feet and thereby relieve the pain a person may have in their back, hips, knees, and/or feet. 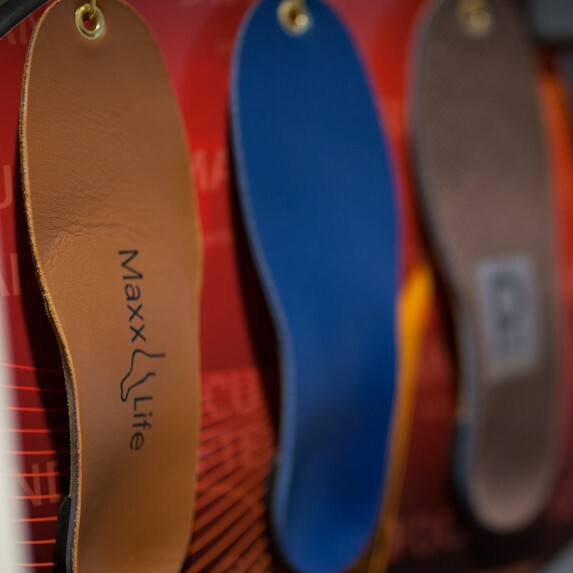 Custom Made Orthotics are specifically molded to fit to each individual foot allowing them to be designed specifically for each foot’s degree of support. When an individual suffers with a low or fallen arch this causes a chain of unfavorable biomechanical events that travel up the joints and muscles of the lower limbs and into the hips and low back. By supporting the arches in the feet it allows a person’s feet, ankles, knees, hips and back to be evenly and correctly loaded during walking/running/standing. This optimal positioning allows for the body to effortlessly absorb the forces associated with daily life and exercise. What kind of problems can Custom Orthotics help with? Foot pain, Heel pain, Achilles tendinitis, Bunions, Hammer toes, Arch pain, Shin Splints, Knee Pain, Hip Pain, Back Pain, Diabetic ulcers, Arthritic Pain, and more! If you are curious if you are a candidate for custom made orthotics, book a free consultation appointment with one of our knowledgeable Chiropractors today.